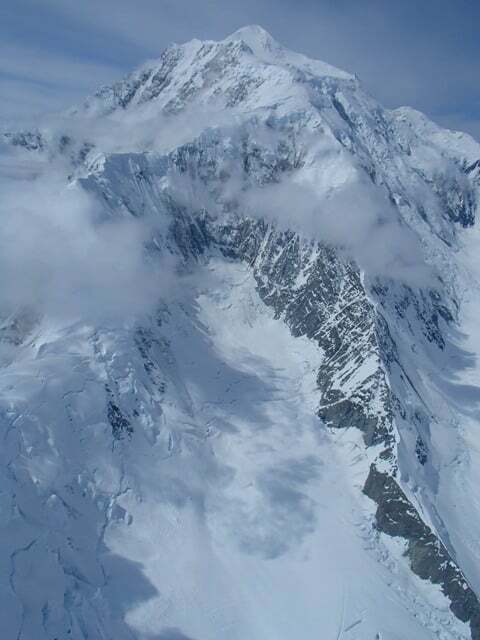 Canada’s highest peak Mt Logan in the Yukon Territory, Kluane National Park, 5960m. 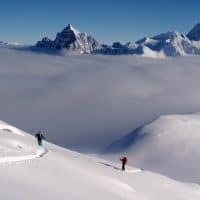 Join the Alpine Air Adventure Guides for a ski expedition of a lifetime. The expedition will begin by flying from Haines Jct. in a ski plane to base camp where we will begin acclimatizing by moving gear to progressively higher camps. 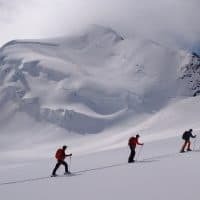 The King’s Trench route will be ascended which is the least technical on the mountain and with the use of ski mountaineering equipment we will be able to travel efficiently up and down. With three weeks planned for climbing Mt. 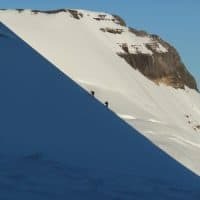 Logan we will set up to 5 camps up the Kings trench route to accommodate acclimatization and once high on the mountain the group will have there summit attempt. 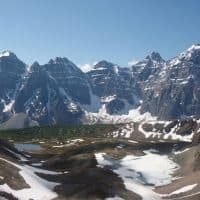 A high and very remote peak, there are prerequisites for this trip. If you have not skied or climbed with AAA, a detailed resume of past mountaineering experience will be required. Mt Logan is not only high it is also a very cold place, surrounded by some of the largest ice fields on the planet and very close to the Pacific Ocean, it can be hit hard by weather. Experienced and serious inquiries only please. A detailed trip itinerary and gear list with training progression recommendations will be sent to you upon deposit. A detailed logistics packed will be sent once registered for the trip.